For many years scientists have been looking for another planet just like ours. A planet that could one day be our new home and/or have ‘alien’ beings. The universe it huge so there is bound to be a planet out there just like ours. 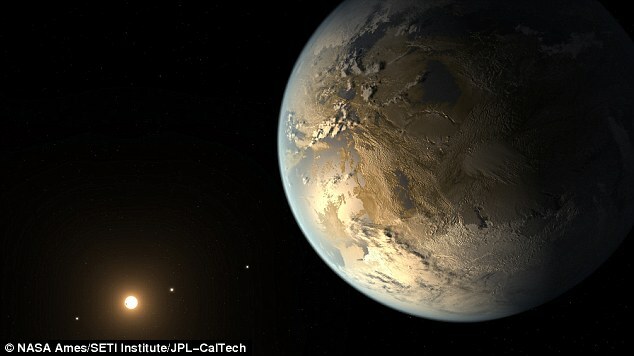 For the first time in forever scientists believe they might have found earth 2.0. Earth 2.0 is 1.1 times the size of our earth and is in an habitable zone. It orbits its star in 130 days and is 490 light years away from us (one light year is 9.5 trillion kilometres). A team of scientists used the Kepler telescope; the telescope has found hundreds of planets but they were uninhabitable because they were too large or too close to their host star. It is the first planet found outside of our universe that has liquid water and may be able to one day hold us and become our home if aliens don’t already live there. “Four years ago, Kepler began a string of announcements of first hundreds, then thousands, of planet candidates – but they were only candidate worlds,” Dr Lissauer said.